How do I apply to the School of Global Studies Graduate Program? Application to the Master of Science program in International Studies is made through a central online application process administered by the Oklahoma State University Graduate College. To apply, click HERE. Once on the site, follow the directions to create your account. Then, once you begin the application process, specify the MS program in International Studies. Upon completion, your application will be processed by the Graduate College and forwarded to the International Studies program for consideration. What do I do after I submit my application materials? You can check the status of your materials by logging into you online application. Once logged in, you can see what materials have been received and processed. You can also re-send notifications to your recommenders to remind them of the procedure for submitting letters. “All persons for whom English is a second language are required to present proof of English competency. However, an applicant who has or will have completed a baccalaureate or graduate degree from a college or university where English is the primary teaching language, and which is located in a country where English is a primary language, is not required to submit a TOEFL or IELTS score. If required, an official TOEFL score of 79 (internet based test) or 550 (paper based test) is required to be submitted. The TOEFL institution code for OSU is 6546. Up-to-date information on the OSU Graduate College’s English Language requirements can be found at http://gradcollege.okstate.edu/content/application-process-0 under the “International Applicants” tab. There are limited programs for financial aid to graduate students, and applicants should not normally rely on university-related financial support to complete their education. The availability of financial aid for most programs is contingent on the state’s economic situation, which varies from year to year. Most graduate students work part- or full-time to help meet their financial needs. The OSU Financial Aid website is at http://www.okstate.edu/finaid/. Notices of special grants and awards are placed on the School of Global Studies web site and in the SIS office in 204 Wes Watkins Center. Most campus and community organizations contact the School of Global Studies when they want to hire students with certain skills or international expertise, and these positions are announced via email. For full-time employment options at OSU, view the OSU Personnel website http://jobs.okstate.edu for employment opportunities or visit their office, 106 Whitehurst. The Edmond Low Library and Career Services, 360 Student Union, are sources of other employment information. For part-time employment or potential Graduate Assistant positions on campus, view the OSU Career Services website http://www.hireosugrads.com/. You can view jobs by creating an account and logging into the Hire System. To be considered for a tuition waiver, applicants must complete the Free Application for Federal Student Aid (FAFSA). The FAFSA forms may be completed online at http://fafsa.ed.gov. Funds may be awarded to students even though they do not demonstrate financial need, but they must go through the process. The FAFSA forms must be filed annually for continuation of tuition waivers. Incoming students will be considered for this aid. Students will receive a letter from the School of Global Studies advising them they have received any support under this program. A limited numbers of graduate assistantships are available to students in the School of Global Studies. These assistantships are not scholarships and are not given strictly based on either financial need or academic performance. Instead, the school selects graduate assistants based on a combination of academic performance, professional experience and skills as they match SIS needs. The School of Global Studies graduate program selects recipients of the assistantships and coordinates the assistantship program. Individuals may be assigned to help faculty with research projects. Other duties may include assisting SIS staff on special projects. Graduate assistants must maintain scheduled contact with their supervisor for assignments. One’s performance is evaluated at the end of each semester. To apply, incoming students should fill out the corresponding area of CollegeNet Application to our program. Current students may submit a paper application: GA Application. Supporting materials that amplify a student’s qualifications and experience may be attached to the application. Confirmation of assistantships may not be possible prior to the start of each semester. Graduate assistants generally receive a monthly salary for 20 hours of work a week and have their tuition waived. Only a portion of the health insurance is waived. Those on assignments must enroll in a minimum of six semester hours during the fall and spring semesters. The School of Global Studies has a number of Graduate Fellowships. There is a single application for these, and it is due November 1 of each year. The application and information on fellowships and awards can be found on the SIS Graduate Program website under the Scholarships tab. The program has a limited number of graduate assistantships to award; therefore, these assistantships are highly competitive. Multiple factors are considered, including academic merit, leadership and activities, contributions to the graduate program, and financial situation. Due to these factors, our graduate assistantships are typically given to continuing students in our program. However, if you indicate your interest in the appropriate place on your application you will be automatically considered for any opening. Our assistantships are half-time -- essentially a 20 hour per week job in addition to your coursework and other activities. They pay a modest stipend and cover all tuition expenses (but not university fees). Additional information on opportunities for financial assistance may be found on the OSU Graduate college website (http://gradcollege.okstate.edu) under the “Financing a Graduate Degree” link. What steps can I take to prepare for the SGS master's program? Academe and scholarship: what makes graduate school different from the undergraduate experience? During your time in International Studies, there will be opportunities for professional development. Many of these opportunities will be available through our department and our department’s student organizations. There are also opportunities through OSU and the Stillwater community. Participation in professional development seminars provided on campus as available. Participation in campus organizations. There are many opportunities to assume leadership or demonstrate commitment to service through involvement in the Student Association of Global Affairs, Sigma Iota Rho, the Graduate and Professional Student Government Association, International Student organizations, etc. Attendance of on-campus and off-campus speakers and conferences. The SIS hosts a number of nationally and internationally-noted speakers each year. Additionally, the university and various departments host visiting speakers on international topics. These opportunities will be publicized through the IS office via email. Take advantage of them as enhancements of your program of study. As an interdisciplinary program with five different focus areas, our students will be entering careers in different disciplines. Our student body consists of students from different countries and cultures. The School of Global Studies expects all of our students to be responsible for their own education and to treat colleagues and peers with respect. A specific discipline may require a certain dress code or formal procedure of etiquette. As it relates to careers, students may make an appointment with Career Services (http://hireosugrads.com/StudentsAlumni/Appointment.aspx) to review discipline-specific professionalism requirements. What is the timeline from acceptance to completion? Apply to the master’s degree in International Studies online: http://gradcollege.okstate.edu/apply. Follow the directions on the site to create your account. Once you begin the application process, specify the MS program in International Studies. Upon completion, your application will be processed by the Graduate College and forwarded to the International Studies program for consideration. You can check the status of your materials by logging into your online application. Once logged in, you can see what materials have been received and processed. You can re-send notifications to your recommenders to remind them of the procedure for submitting letters. The School of Global Studies has floating deadlines for Fall, Spring, and Summer semesters. The priority deadline is November 1st for Spring and May 1st for Fall. Applying by the priority deadline will allow you to receive priority consideration for Graduate Assistantships available for your term. You will receive an email from i-study@okstate.edu welcoming you to the School of Global Studies and outlining the next steps. Students will meet with the graduate coordinator to enroll before the semester starts. You can make an appointment by calling (405) 744-7693 or emailing i-study@okstate.edu. Note that international students may have additional steps to complete before enrollment. We will send out information about the mandatory School of Global Studies orientation as well. You will need to complete the Responsible Conduct of Research form in your first semester: http://compliance.okstate.edu/rcr/rcr-index. More information on this subject is available in this handbook. New Student Orientation will be the first week of class. This is orientation for the School of Global Studies and is mandatory for all of our new students. Check your email regularly for opportunities to get involved and to stay in touch with School of Global Studies. When it is time to enroll for the next semester, you will receive an email with information. You make an appointment with the graduate coordinator to discuss your courses and answer your other questions. There is a section in this handbook on graduation; refer to it for more information. You can also find a checklist online: http://gradcollege.okstate.edu/masters-checklist. Note: If you complete a thesis, you will have additional items throughout your time to degree. Check thesis guidelines here: http://gradcollege.okstate.edu/tdg. This requirement must be completed prior to graduation from the School of Global Studies Graduate Program. Language courses may be completed at OSU or outside institutions during your time in the program. We also accept previous coursework in foreign language, but may ask for proof of completion. Note: The 15 hours of language courses cannot be counted toward the 33 hours necessary to complete the master’s degree. What is the International Experience requirement? Students from the U.S. must have an international experience to qualify for the M.S. in International Studies degree. The time outside the US must be a minimum of 3 to 6 weeks, involve a structured program of coursework or internship and have occurred during the student’s undergraduate or graduate programs. Due to the great variety of opportunities, the experience must be approved by the Director. What is the Research Design and Methods requirement? Students with appropriate backgrounds may usually substitute more advanced methods courses to fulfill this requirement, subject to the approval of the program director. International students may also wish to consider ENG 4893 -- Research Writing for International Graduate Students. Where is the School of Global Studies (SGS) program office? The School of Global Studies Academic Programs office is located on the second floor of the Wes Watkins Center (WWC) in room 204. 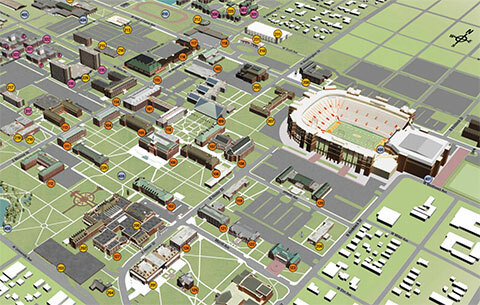 The Wes Watkins Center is Building R-6 on the OSU Campus map. Can I visit the OSU Campus? Because so many prospective students to the School of Global Studies live outside of the United States, students are not required or expected to visit prior to enrollment. Students who would like to visit the School of Global Studies to learn more about the master’s program may do so by appointment. If you would like to visit, email i-study@okstate.edu. We would love to meet you and show you around our beautiful campus! Does the School of Global Studies (SGS) master's program have a student organization? Yes! Student Association of Global Affairs (SAGA) is an organization for School of Global Studies master’s degree students. All International Studies M.S. Students are automatically members, and there are no dues. The goal of the organization is to create a community that complements students’ classroom activities and connect them with SIS alumni. To get involved, email i-study@okstate.edu. A plan of study lists graduate courses taken, currently enrolled in, and planned for the graduate degree. The original Plan of Study must be submitted to the Graduate College prior to the completion of the second semester (excluding summer sessions) of enrollment for a Master’s degree. Graduate College will not permit further enrollment until this requirement has been met. The Plan of Study is done online through the Graduate College. The student portal can be found here:http://gradcollege.okstate.edu/planofstudy. The Grad College also has an FAQ page completely dedicated to the Plan of Study:http://gradcollege.okstate.edu/faq-pos. I've finished my classwork! How do I file for graduation? Get a cap, gown, and hood. *Follow all pertinent dates on the Academic Calendar at the beginning of this manual. You must submit a Diploma Application and Graduate Clearance Form to be eligible to graduate (http://gradcollege.okstate.edu/masters-checklist). To submit your diploma application, login to SIS and select the 'Diploma Application' option located under the 'Student Records' menu. You should file the diploma application for the semester in which you plan to complete all degree requirements. Diploma applications will be accepted until Friday of finals week for the semester. If you would like your name to appear in the commencement ceremony program, your diploma application must be submitted by April 1 (for spring and summer graduates) or November 1 (for fall graduates). For more information, visit the Steps to Graduation page on the Registrar website. Students should submit a signed and completed Graduation Clearance Form to the Graduate College (202 Whitehurst). This requires a meeting with the advisor to ensure that all requirements will be met by the various deadlines. At this time, a student and their advisor should ensure that the plan of study is accurate and all courses on that plan are reflected on the student’s transcript. In order to address any enrollment-related issues that might arise, students are strongly advised to complete this form early in their final semester. International students are also required to submit a final semester verification form. The International Students and Scholars (ISS) office is required to report the enrollment status of all international students via the Student & Exchange Visitor Information System (SEVIS). At Oklahoma State University, full-time enrollment status for graduate students is defined as 9 semester hours for students with no assistantship or with an assistantship less than 0.50 FTE (20 hours per week), or 6 semester hours for students with an 0.50 FTE. However, in the final semester of study, students may be permitted to enroll in a course of study that is less than full-time (but is still subject to any requirements of their graduate assistantship). Hence it is essential to verify that an international student desiring to be enrolled less than full-time is indeed entering their final semester. requirements of their graduate assistantship). Hence it is essential to verify that an international student desiring to be enrolled less than full-time is indeed entering their final semester. Do I need to submit GRE/GMAT scores? No, the School of Global Studies does not require the GRE or the GMAT for admission. Are School of Global Studies (SGS) graduate students able to study abroad as part of their coursework in the master's program? Yes, there are many opportunities for SIS students to study abroad. The first is through short term faculty-led study abroad programs offered by the colleges. For more information on these programs, please go to http://ocampus.okstate.edu/otravel.aspx. Another opportunity to study abroad is through the UPAEP-OSU dual degree master’s program. This program always you to get a Master’s of Science degree from OSU as well as a related master’s degree from UPAEP in Puebla, Mexico. For more information on this opportunity, visit the dedicated page on our website. The OSU Study Abroad office also has opportunities available for graduate students. If you have a study abroad opportunity that you believe would be a good fit with our program, please contact us. Academic credit can be offered for qualifying study abroad experiences, subject to SIS coursework and the approval of the Director. What is the employment outlook for student graduating from the School of Global Studies? School of Global Studies graduates go on to work in a variety of different fields ranging from business to international developmental work to national defense. Below are a few of the companies for which our alumni have had the opportunity to work.